IT'S NO JOKE! For one day only, April 1, GingerScraps is having a 65% off sale on selected items! 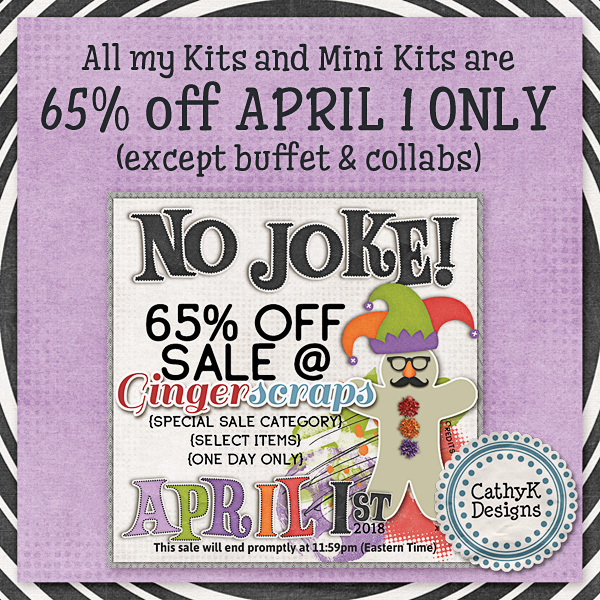 CathyK Designs has put all her kits and mini kits (95 products in all) into the sale! Sale starts April 1 midnight ET and runs through 11:59 PM ET. Shop CathyK sale items here. Hope you all have a blessed Easter and a fantastic weekend!